We broadcast good old Kiwi music to the world. New Zealand has a wonderful array of musicians oozing with talent, unfortunately not all of them get heard by anyone other than kiwis. NZ Beats wants to change that. 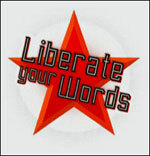 We do a weekly podcast that showcases bands and their talents to the world. We have avid listeners from all over the world who tune in every week for their NZ Beats fix. We also support all bands and musicians we play on the show by providing links to where listeners can purchase their music. 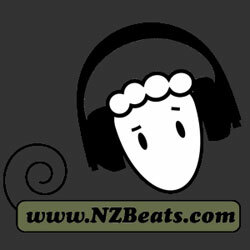 So what are you waiting for head over to www.nzbeats.com and listen to some great music! NZ Beats is nothing without great Kiwi music. If you are a Kiwi musician and would like to get your music heard by an international audience then feel free to contact NZ Beats at NZBeats@gmail.com. You can e-mail your tracks in pretty much any format, but mp3 is easiest. It would also be great if you could send some info about yourself or band or just a link to your myspace page. Also if you have an album or tracks for sale online and would like NZ Beats to provide my listeners links then send me those too. New Zealand, USA, Australia, Canada, UK, Germany, Netherlands, Singapore, Indonesia, Brazil, Finland, Italy, Belgium, Jordon, Poland, Japan, Denmark, Sweden, China, Portugal, France, South Africa, Norway, Slovak Republic, Czech Republic, Ireland, Uruguay, Turkey, Switzerland, Russia, Costa Rica, Mexico, Paraguay, Croatia, Malaysia, Seychelles, Hungry, Peru, Saudi Arabia, India, Spain, Romania, Austria, Hong Kong, Yugoslavia, Guatemala, Taiwan, Luxembourg, Argentina, Greece, Thailand, Israel, Chile and the Philippines. So what have you got to lose. 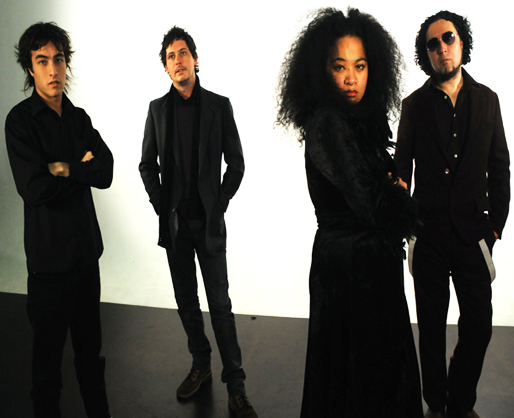 Payola is Solomon Cole (vocals), Lee Catlin-Rickenbacker (guitar), Sophia Tupuola (vocals, keyboards), Nick Wood (percussion) and Adrian Bergman (drums). Most memorable, The Dog Bollix, with Nebulone and Woodview March 06, great sound system, good crowd and we were bang on it. The Kings Arms and The Dogs Bollix. The Finn Bros, great harmony and soaring acoustic guitars. How did you come up with the band name The Pleasures Of June? Taken from a line in a Turin Brakes' 'Feeling Oblivion'. Harmonic Beatlesque, with a bit of Alt Country?? What can we expect to see from The Pleasures Of June over the next year? More singing, playing and writing. The Pleasures of June are Ian Haylor (guitar, bass, piano, drums, vocals, egg shaker, harmonica blower) and Tim Smith (guitar, bass, vocals). The Pleasures of June debut album 'Perfect Strangers' is out now, and you can read the muzic.net.nz review here. 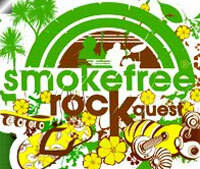 New Zealand Music Month gets a grassroots boost with 20 of this year’s fifty Smokefreerockquest events scheduled during May, starting in Auckland with the North Shore heats on May 9. The nationwide school music contest enters its third decade as the country’s premier youth music participation event. Director Pete Rainey says other events come and go but Smokefreerockquest continues with only minor changes to the formula. Right now the call for entries is on, with around 700 registrations expected in the next few weeks. This is one area where Smokefreerockquest has made changes – for the first time registration is ‘paperless’ with bands and solo acts all entering via the Smokefreerockquest website. CHART announced today the presenters and international guests heading to Christchurch for CHARTFEST Christchurch's annual indoor multi-stage NZ Music Month Festival in the Town Hall on Friday 29 May. Rarely does Christchurch see such a diverse and interesting gathering of music industry representatives. At CHARTFEST 2009 there are seminars on Releasing Your Own Music, Media & Promotion, Playing Live & Touring, the WE-SPEAK Youth Conference and the NZMC and MMF Seminar Breaking Into The Australian Market featuring international music industry personalities such as Sashya Jayawardena (Tour and Event Manager/Promoter Australia), Chris Wu (Popfrenzy Australia), Brent Harris (Cut Off Your Hands) and Teresa Patterson (CRS Music Management). Christchurch musicians will be able to discuss pitching their music to the media with Vicki Anderson (Music Editor, The Press), Benet Hitchcock (RDU98.5FM), Kirsten Johnstone (Radio NZ) and Richard Bell (Shuriken). Find out the best way to approach venues and promotors, organise mini tours, arrange ticketing and discuss postering tips with Neil Cox (Southern Amp), Ross Herrick (Dux de Lux) and Harry Lyon (Hello Sailor) and hear DIY tips for organising your own music release with Tim Baird (Pinacolada Records), David McLaughlin (Music Lawyer), Stephen O'Hoy (DRM NZ) and Renee Jones (IMNZ). Country music is in the spotlight as NZ Music Month gets underway with the announcement of the finalists for the RIANZ Best Country Music Album of 2009 and the APRA Best Country Song of the year. 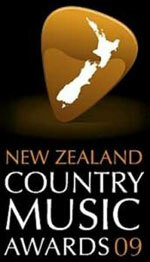 Both awards are to be presented at the New Zealand Country Music Awards on May 29 in Gore. Finalists for the Recording Industry Association of New Zealand (RIANZ) Best Country Music Album Tui are Annette & Kim for "Something Between Us", Kylie Austin for "When It Rains" and Tami Neilson for "Red Dirt Angel". Tami Neilson is also a finalist for the Australasian Performing Right Association (APRA) Best Country Song Award for "Cry Myself To Sleep", the first single from her debut album released in February 2009. The other two finalists vying for the best song are Kayla Mahon, Taylor Cairns and Andrea Cruickshank for "Facing The World" and Jess Chambers for "Stringing Me Along". 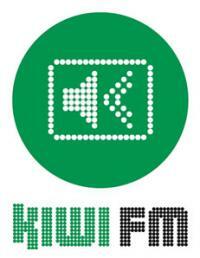 What Does Kiwi FM Do For Music Month? A blogger recently asked,"What does Kiwi FM do for the month of May? Play New Zealand Music? That's not making a change - that's what they do for the other 11 months. Surely they're allowed time off for (supposed) good behaviour?" As a station committed to playing 100% New Zealand music Kiwi certainly can't increase that percentage. Instead, the station has launched an ambitious programme of live-to-air performances; and they've vowed to have at least one act live in their studio for every day of May. "31 Bands in a Box" is the result. The small but perfectly formed Kiwi FM studio (the "box") is no stranger to live performances than often belie its size. In fact, it once hosted the Windy City Strugglers - although vocalist Rick Bryant did have to sing through an open door from the workroom. But Kiwi has never attempted such an intensive schedule before. In fact, few radio stations ever have. Cookie Time today officially adopted roots/rock band dDub, kicking off a range of activities to promote dDub’s music during New Zealand Music Month. Held at Radar Records in Christchurch, the lunchtime adoption was formalised with the signing of a specially tailored New Zealand adoption certificate, witnessed by Kiwi music legend Ray Columbus. A renowned entertainer who received an OBE honour in 1974 for services to New Zealand, Ray Columbus said he was delighted with the initiative. “Cookie Time is providing a wonderful service to dDub and they are setting a great example to other companies and the broader New Zealand music industry. They have really made this project special by supporting a band they are passionate about, whose approach to music fits so well with their brand” he says. You guys have been working OUT!" would be a good summary of responses to the new Grand Prix album, 'The Speed of Sound'. 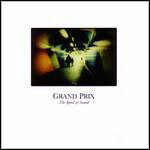 It is definitely the most rocking album Grand Prix have made so far. They were excited going in to the studio - they had new songs, a new direction and they would be recording them live in a room together as a band for the first time. And they're happy with the results. It's rock that might have come from the 70's, an evolution from the dark surf sound of the previous albums. PNC returns on June 2nd 2009 with 'Bazooka Kid', the follow up to his 2007 NZ Music Award Winning debut, 'Rookie Card'. 'Bazooka Kid' contains all new material from PNC plus the hit singles 'Moonlight', 'Find Me' ft Chong Nee, 'Take Me Home' ft Mz J (which was a Real Groove Top 10 song pick of 2008 ), and the lead track 'Tonight' to be released on May 4th, guaranteed (with its eye-catching video) to get people talking! 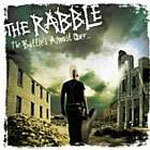 Storming out of their hometown of Auckland, The Rabble are exploding out of New Zealand and into the hearts of punks worldwide. Harnessing the advantages of both experience and youth, this powerful and passionate band have been together for over seven years, but they are still only just out of their teenage years. Now comes the release of "Start Again", the second single from their recently re-released second album "The Battle's Almost Over". 'Pizza Turtle Cadillacs' features Coco Solid, a New Zealand born MC & already a star in her own right who has just returned from a worldwide tour. This independent MC has been rocking the airwaves for some time whilst also performing alongside the likes of Sway, Spankrock and SA-RA. In celebration of NZ Music Month you can download free NZ music when you purchase either 5 Gravity coffees at selected cafes (a single) or a pack of Gravity coffee at your local supermarket (an EP). You'll receive fresh and unreleased tunes from Recloose, Fly My Pretties, Charlie ASH, Honey Claws, Isaac Aesili and Minuit. The New Zealand Music Managers Forum and the NZ Music Commission are proud to present the May Music Month Seminars 'How to Break Into the Australian Market'. During the last week of May, a series of seminars will be held nationwide in Auckland, Wellington, Christchurch and Dunedin. The official Smokefree Rockquest website is the place to go for all your Rockquest news and views. - K. Soar (New Plymouth) and J. Power (Ashburton) received their copies of the Sola Rosa album 'Get It Together' last week. - A. Singh (Waitakere) and B. Kozeluh (North Shore City) will be heading along to Recession Night on 15 May. Past competition winners can be viewed here. Please note - you must be logged in to enter competitions. Building on the low-lit interior sounds of their critically acclaimed 2006 debut 'Rest Room', Selon Recliner have completed their second album, 'The Orchid Door'. 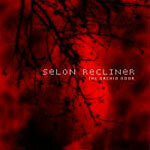 Selon Recliner's music has been described as having dark, hypnotic beauty that breezes along on mellow atmospheric guitars, poignant keys and gentle beats. 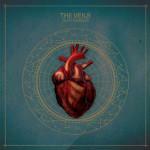 The Veils - A bold and distinctive record, 'Sun Gangs' is described by songwriter and frontman Finn as "...a very modern mixture of prayers, love letters and personal record keeping..."
Features the current radio single 'The Letter'. 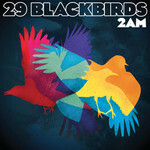 29 Blackbirds - Six songs that pulse with the highs and lows of the city, engineered and produced by Tui-award winning Dave Rhodes. These songs will take you from dark anticipation of the night, to dancing in underground bars at 2am wishing the night would go on forever, to squinting in the sunrise on the rooftop when the time comes to give the city back to the dayshift. 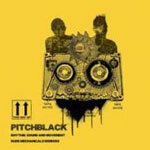 Pitch Black recently posted one of their tracks, 'Harmonia', up for remixing on the web, and after the demand for the files crashed not only the download site, but also the server and the network carrying them, they received 35 fully finished versions! Memorable melodies, experimental washes, plinking pianos, screaming guitars, naughty bass lines, bells, whistles and 3 different drummers. 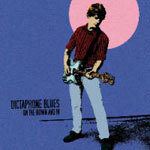 All packed into 'On The Down And In', the debut album from Auckland band, Dictaphone Blues. 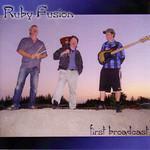 Ruby Fusion is a new project by Reuben McNabb (Equus) made of up Christchurch local musicans. 'First Broadcast' is their debut EP, catch them live in and around Christchurch. 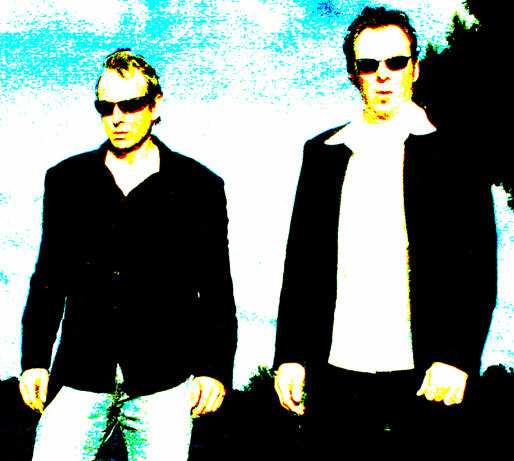 To mark the start of New Zealand Music Month, Cookie Time has officially adopted rock/roots band dDub! To celebrate this initiative we have a NZ Music Month prize pack to give away courtesy of Cookie Time and the New Zealand Music Commission. 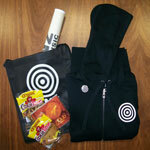 The pack includes a NZ Music Month hoodie, poster, tote bag, badge, and a limited edition dDub Cookie Sandwich. 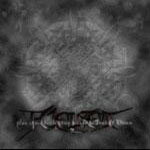 The debut release from Auckland metal band Fuelset. Our most recent reviews can be viewed here. The ninth NZ Music Month is off to a flying start. May has been credited with an overall increase in the number of units sold by local acts in past years and 2009 looks to be no exception. There's a hat trick of Kiwi chart successes to begin the month. Smashproof and Brother add another week to their non-stop #1 streak. They are now into their eleventh consecutive week leading the Singles pack, an all-new longevity record for a local act. Next week the track will equal all-time local #1 chart champ, Scribe's Stand Up / Not Many, which currently reigns with a 12-week tally. Scribe dropped out of the top spot four times during that run. Meanwhile Auckland band Midnight Youth, comprised of Jeremy Redmore, Simon Oscroft, Nick Campbell, Matt Warman and Aidan Bartlett, have good reason to be popping the champagne. Their debut The Brave Don't Run takes highest new entry honours, opening in the runners-up position at #2 first week. In addition, their sophomore hit All On Our Own leaps eleven places to give them their first Top 10 single. The Letter, their debut hit and former Airplay #1, re-enters the Singles list at #20. More information about the Official New Zealand Top 40 can be found on the RIANZ website and also on our charts page. 24 May and will feature Mel Parsons and Fuelset. We have space available in our newsletters from 7 June onwards. You can request a date in advance that suits you, or feature in the next available newsletter. There is currently a lot of interest in newsletter features, so if you would to have a newsletter feature within the next 2 months you should contact Lisa as soon as possible to avoid disappointment. We can feature you/your band even if you have already been featured in a newsletter from a previous year. With our newsletters being sent out to over 7110 members and this number growing every day, featuring in our newsletter provides awesome exposure for you or your band. And, as the people who receive our newsletters have subscribed to them, they are more likely to read what you have to say. If you would like to advertise your next album release or tour in our newsletter and/or gig mail out email Lisa. It is 100% FREE to feature or advertise in our newsletter and gig mail outs! We also offer advertising on the muzic.net.nz website for very competitive rates. 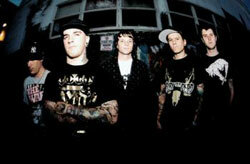 We can also feature record labels, venues, music websites and anything else that has something to do with NZ music. Our next gig mail out is going out on 17 May.